The taste of Cordon Bleu is dominated by the eaux-de-vie from the Borderies region. Palate: A round and smooth cognac, rather masculine, with some hints of fruit and wood. The finish is long and satisfying. 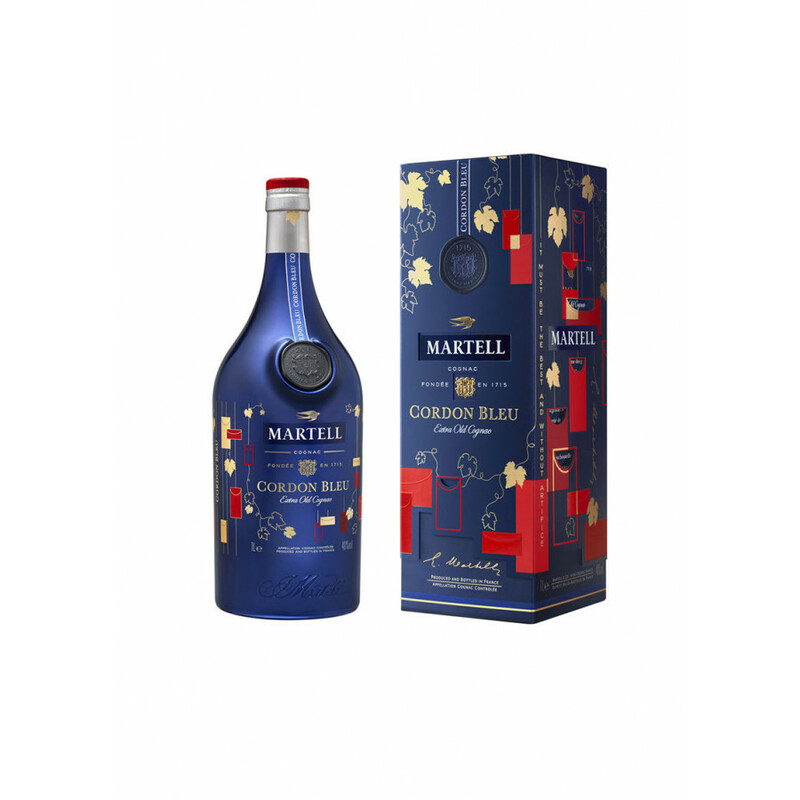 The Martell Cordon Bleu Chinese New Year Limited Edition Cognac is a great take on the classic Martell Cordon Bleu XO Cognac that's wooed legions of fans since its inception in 1912. This delight has been created to conincide with the 2018 Chinese New Year. Inspired by the Wishing Tree, where people hang red envelopes with their wishes for the coming year, the design of the bottle is the work of German born artist, Sabrina Transiskus. Both the carton and bottle are predominantly blue, with embossed gold vine leaves and red envelopes adding splashes of color. The launch has been further bolstered by displays in pop-up bars in airports around the world, as well as digital games and a social media campaign, #MartellWish. It's the bottle itself that's the limited edition, with the contents remaining true to the Martell Cordon Bleu we all know and love: aromatic, characterful, and most of all, a top quality XO from this iconic Cognac house.